Praying Mantis needs no introduction. The band is a legend in the English rock and metal scene. A legendary band that stands beside other iconic peers like Iron Maiden, Judas Priest, Saxon, and Def Leppard. Since their resurrection back in 1990, Praying Mantis, with a few lapses, has been putting out studio albums. 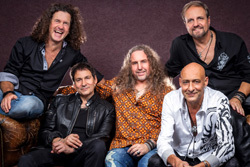 They return with their eleventh album, and third for the Frontiers Music label, Gravity. Needless to say, and without being trite, the album is essentially tried and true Praying Mantis. 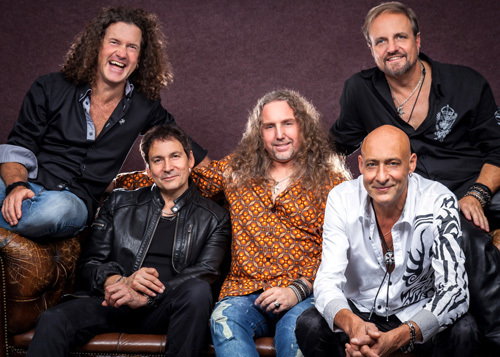 It's everything you expect and love from the band: classic and catchy melodic hard rock, sometimes with some metal bite. Although, I felt that latter characteristic to be more dialed back this time around. Otherwise, you have the signature Praying Mantis trademarks: twin guitar harmony, fine feisty leads, toe-tapping rock groove from the rhythm section, and melodic and harmonious vocals. Praying Mantis is one of those bands where every member can and will be part of the vocal arrangements. It's one of the best things I love about the band. With that last thought in mind, let's hit some song highlights. Some of the sweetest, harmonious vocal arrangements come within Destiny In Motion, Foreign Affair, the AOR light rocker Time Can Heal, Keep It Alive, and especially Mantis Anthem. In that last song, a steady grooving number, the vocal harmony turns upon the tasty refrain. Other songs of interest include the title track, which begins with rhythmic bass and drum start before turning into a smooth rocker, and the bass continues to be heard throughout. After this, Ghosts Of The Past begins with light piano, then builds with symphonic synths and large drums for another steady grooving rock anthem. The Last Summer arrives as a light and smooth AOR ballad, where vocalist John Cuijpers sounds emotional and soulful over piano and lighter guitar. All said, Praying Mantis' Gravity is another terrific album of AOR accessible classic melodic hard rock from these musical masters. Don't miss it. Easily recommended. 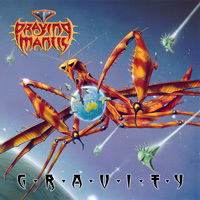 Praying Mantis' Gravity is another terrific album of AOR accessible classic melodic hard rock from these musical masters. Don't miss it. Easily recommended.